WALDORF, Md. -- Officials in Maryland say a police officer is now also facing murder charges after his mother allegedly killed a man and wounded the victim's wife in a shooting allegedly stemming from a custody dispute. 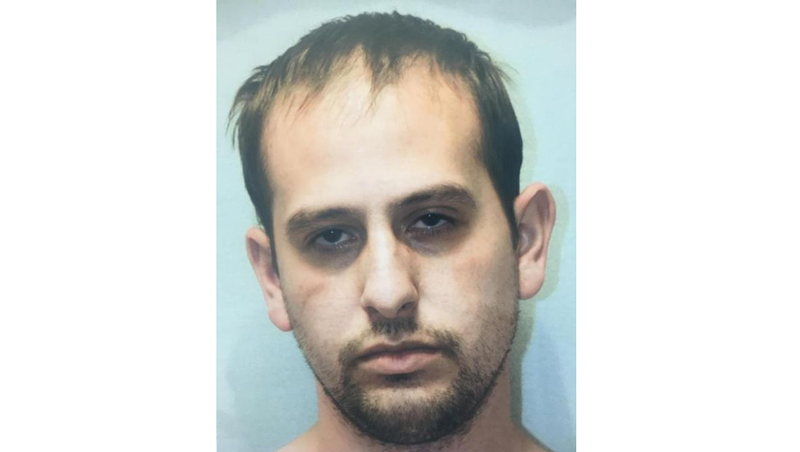 Prince George's County police officer Richard Travess Conway is reportedly charged with first-degree murder in the murder of Robert Mange, 25, and Mange's wife Krystal Mange, 24, last Wednesday in the parking lot of a Waldorf McDonald's. Krystal Mange and Richard Conway had a previous romantic relationship, and police say the shooting stemmed from a custody dispute over Richard Conway and Krystal Mange's two children, reports CBS affiliate WUSA9. Conway's mother, 51-year-old Caroline Conway, was already facing murder charges. She allegedly got into the back seat of the car where the Mange's were waiting to pick up Krystal Mange's two children, reports the station. Police say Caroline Conway opened fire, fatally shooting Robert Mange, a sailor based out of Norfolk, Va. She also shot and wounded Krystal Mange, shooting her in the back as she attempted to flee. The couple was newly married, reports the station. Richard Conway was with the children, 4 and 2, somewhere in the Waldorf area when the shooting occurred, but it's not clear exactly where he was, reports Southern Maryland News. He was reportedly off duty at the time. New evidence has led law enforcement officials to believe Richard Conway was involved in the murder, police in Charles County, Md. announced Tuesday, reports the paper. Police said they uncovered bullet casings consistent with the type of ammunition used by the Prince George's County Police Department, and they reportedly believe Richard Conway's service weapon was used in the murder. The weapon hasn't been located, reports the paper. He has spent three years with the Prince George's Police Department and is suspended without pay, reports WUSA9.